Okay okay, my last post made Paris and traveling sound like the pits. And my grandmother even commented how concerned she was about our "cheap" adventures. Her concerned posts inspired this post. As a I grew up only one person in my life really took me on grand adventures. Everything involving big travels and adventure involved Grammy. So, even though she's concerned - I blame her for my wanderlust (but, really we made it to Barcelona and are safe in a much nicer neighborhood). It started with her and Poppy taking me to New York and continued to Italy (our next stop by the way). I was 13 and when we were in New York we walked out of our hotel, and she handed my cousin and I a map of the city and asked us to navigate her to dinner. That was a lot as a 13 year old. 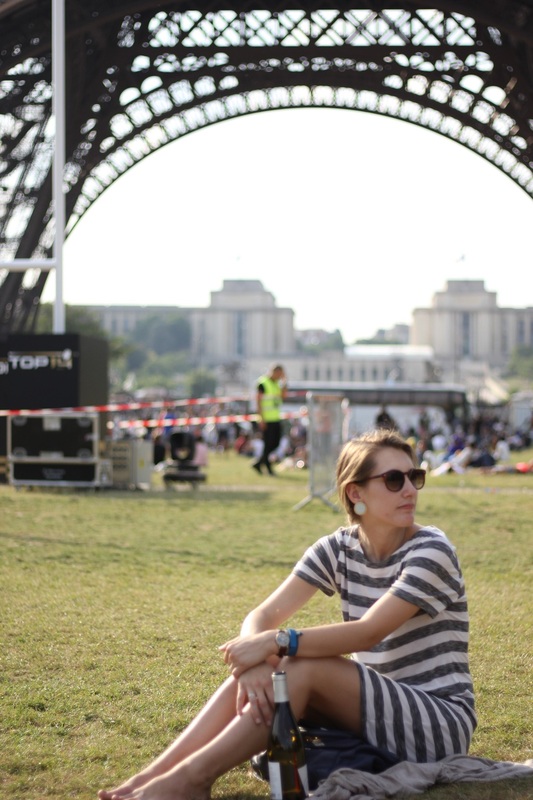 But, as we woke up in Paris, a little sketched out, and we looked at a map and we navigated to where we needed to go to eat and enjoy our day. Lesson one from Grammy: read that map and understand it. With this "can do" and " we are going to have a grand time" Grammy attitude we ended up with pastries. Lesson number two: find the best food and sit and enjoy it. The environment is part of the food experience. Also she taught me to use Trip Advisor, and I found these beauties in Canal de St. Martin. From there, we navigated and cruised the city. Ending our night at the Eiffel Tower drinking wine and eating cookies working our way to the top. It was a perfect and relaxed day to counteract the mahem of the day before. But, really, the mahem was worth it. 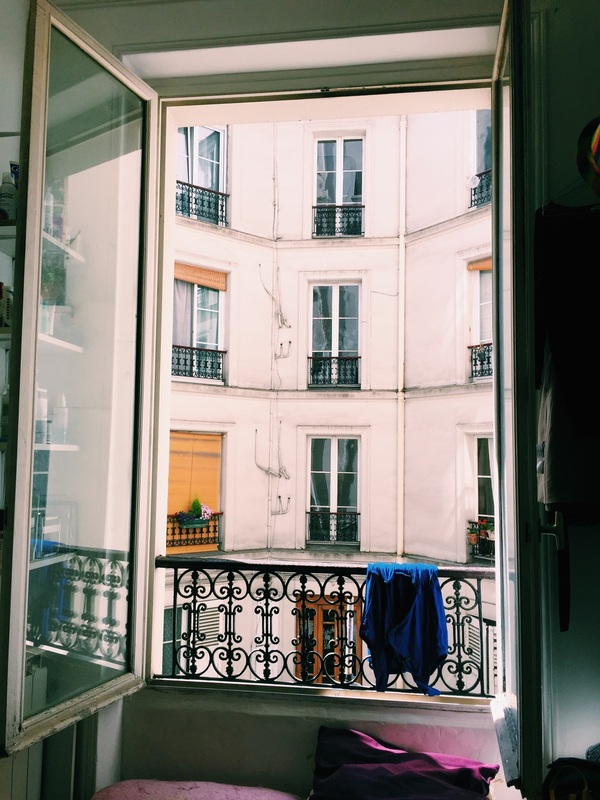 It was an experience we both shared, that forced us out of our comfort zone, taught us some valuable Airbnb lessons, and made us want to change the perception of our experience. I think all newlyweds should get lost in Paris and have the metro shut down when you need it. So the next day we ventured to museum after museum. The D'Orsay was my favorite. The building itself is a museum and the impressionist exhibit was wonderful. We aimlessly walked through and admired the building and the art. And even the view. From there we hit the Louvre. Which was very overwhelming! and by this time I was losing steam, but Jake dragged me through it. And we enjoyed it. It's not like the D'Orsay where you can wander and search. You MUST look at the map and decide what you really want to see. And then walk to those things. It's an ENOURMOUS museum. But the building and the art is magnificent. A must do. But really one of the best parts of the Louvre is the gardens where we ate gelato, people watched, and enjoyed a song by the toddler next to us. From there we were desperate for a snack. Another great lesson Iearned from Grammy. Lesson three: Eat when you need to. We walked the streets until we found a spot that looked good. We sat down and ordered goat cheese on toast with salad, a dish French love in the summer. But after we ate that we were still hungry and went for some authentic French food (need sarcasm font) and had French fries. For more views of Paris we climbed the Arche de Triumphe. The next and final day is when the tides really turned. We met up with Lulu. Our guardian angel and friend. When traveling with Grammy, we met lots of these friends, they are wonderful and helpful and deserve lots of thank you's! Lesson number four: find guardian angels and love them. The foodie in me was thrilled. 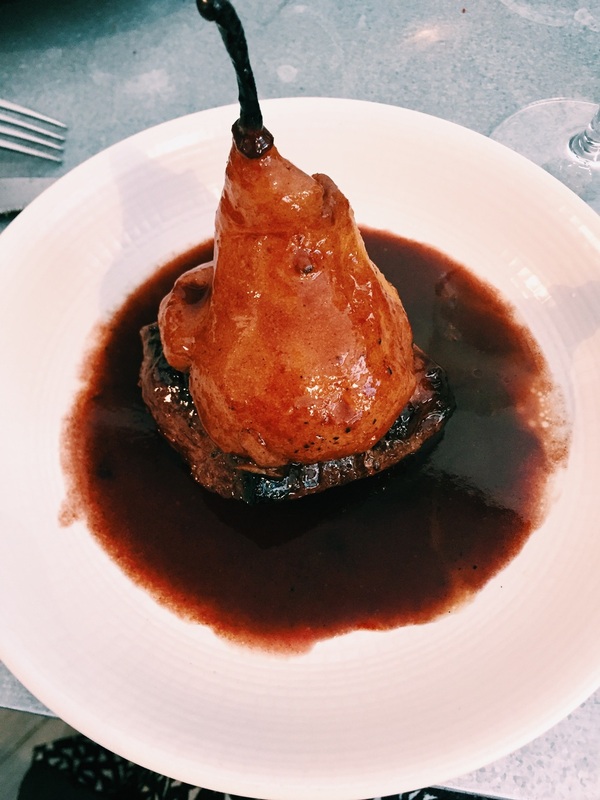 We went to a restaurant where the main dishes resemble authentic traditional French pastries. This became my favorite meal of the entire trip. We also no longer had to navigate the city and began to blindly follow Lulu who could easily ask for directions and help. We picked up Jane on the way and had the most wonderful evening picnicking and exploring the Mulan Rouge area of Paris. Finding someone you know and love outside of where you usually find them is special. The last night was by far our favorite, we loved seeing and talking with her about her adventures and all her big life changes. Jane and I share a love of reading so before a picnic, we found the Shakespeare and Company bookstore and I left a note. One last look at the Eiffel Tower and a Paris gourmet burger (I know, sense when are the burgers famous? But, they are, and they're DELICIOUS) and we were in for the last night in Paris. 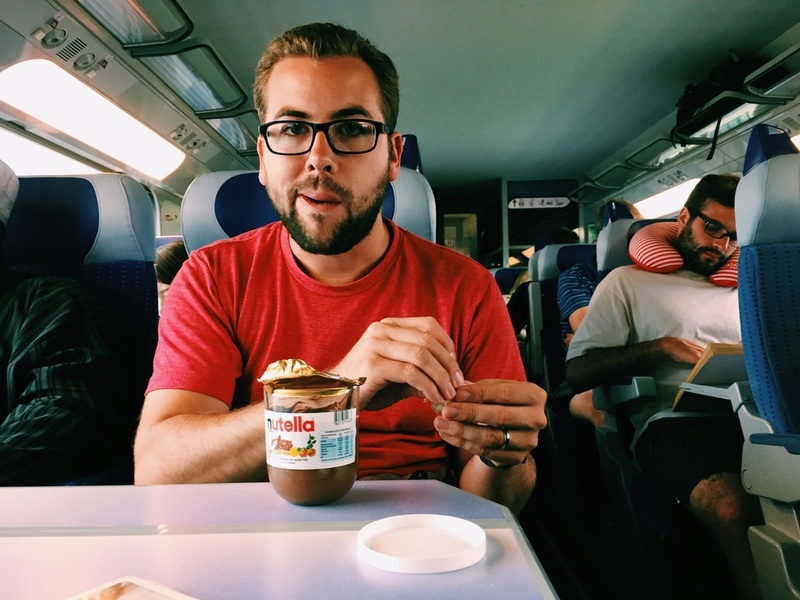 We woke up the next morning and had a Frenh brunch (which is way better than the American version, you get orange juice and coffee) and we headed to the train with Nutella in my bag and a baguet in my hand. Grammy taught me to seek the adventure and get to know the people who live in the city. To ask questions and for help and to keep the right attitude. We were definitely tired and frustrated with Paris, but we left with full bellies and full hearts. And by damn, we knew how to read the map and ride the metro. Grammy and I in a boat in Venice 2 years ago. So cheers to a new city (Barcelona) and more adventures! P.S. 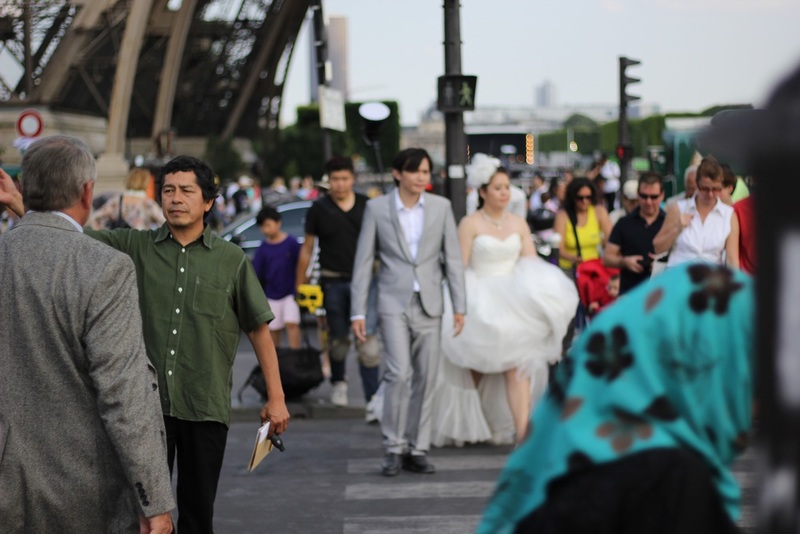 One of my favorite parts about Paris was the brides. They are EVERY WHERE taking pictures in front of all the most touristy stuff!